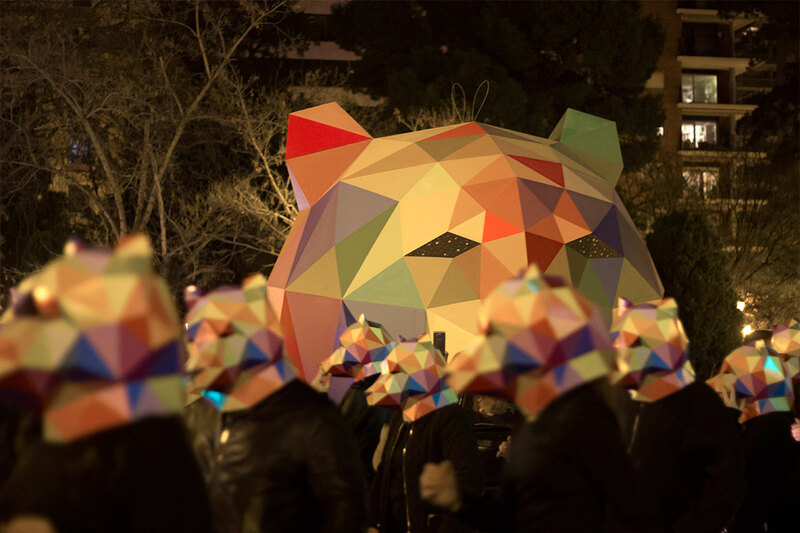 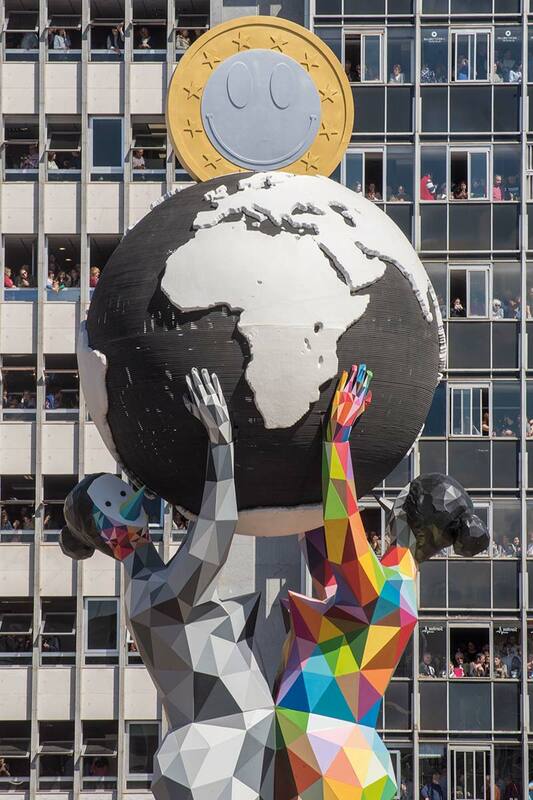 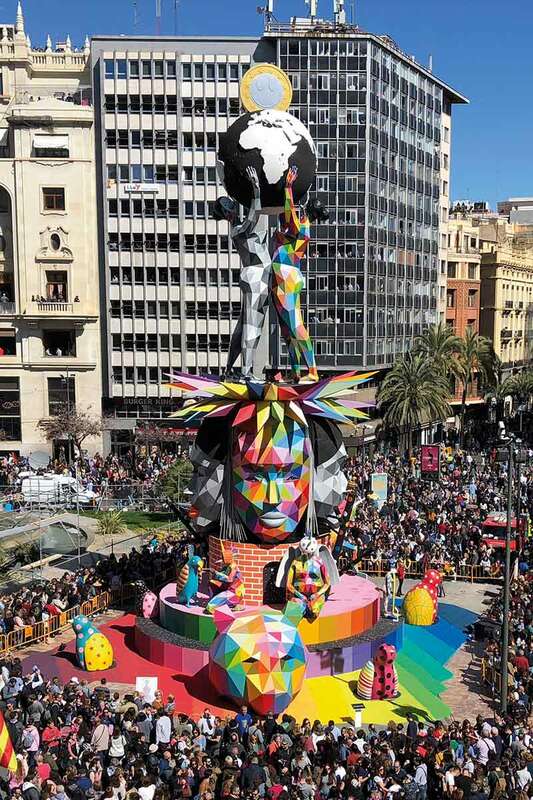 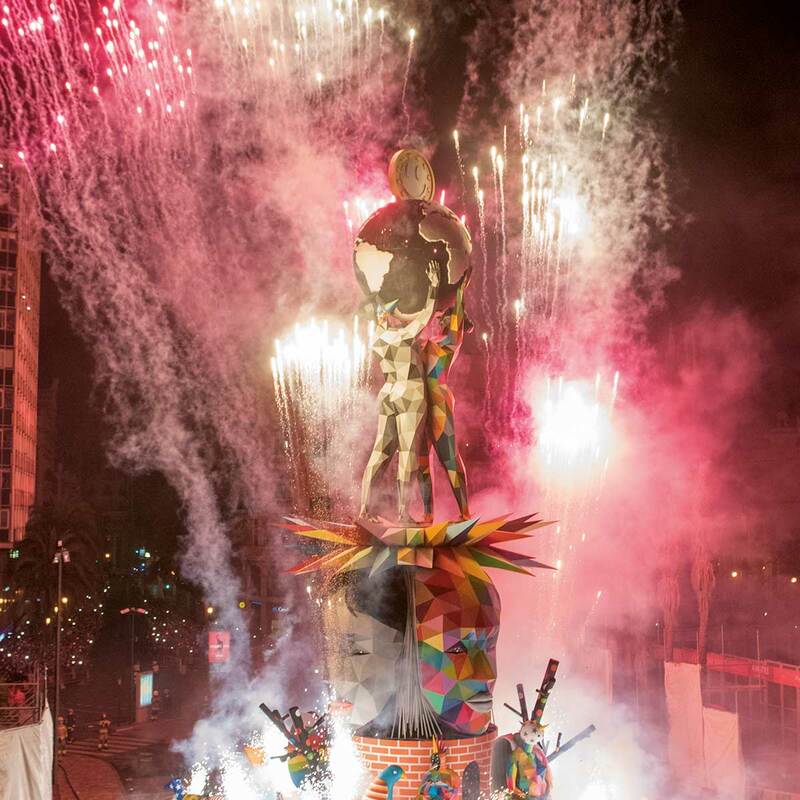 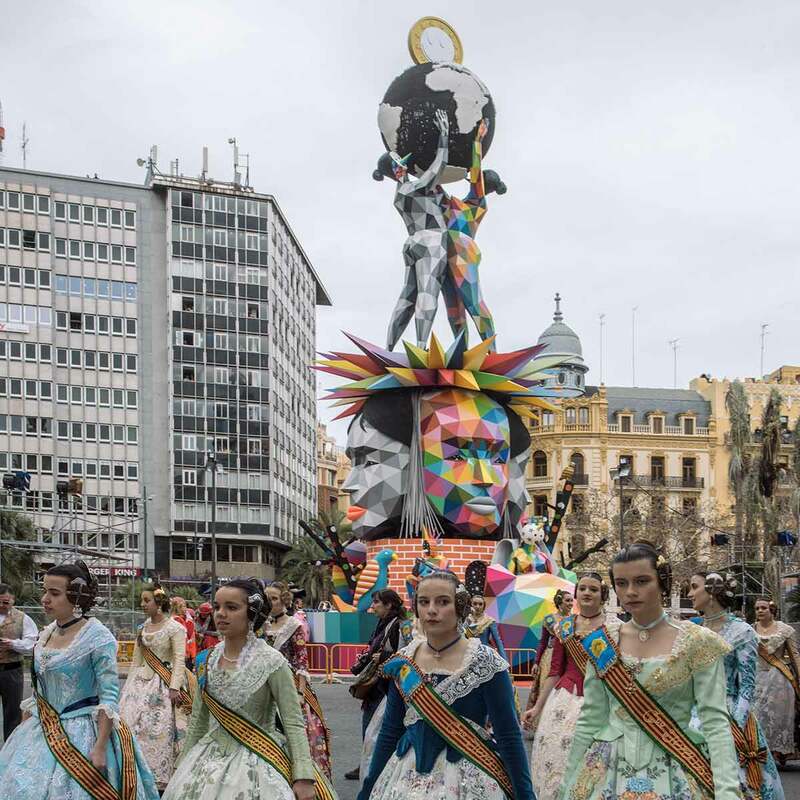 Tuesday March 19, 2018, the Fallas festivities in Valencia were closed with the popular ‘Cremá’, where, among many others, the Falla Mayor “Equilibri Universal” designed and painted by Okuda San Miguel was burned. 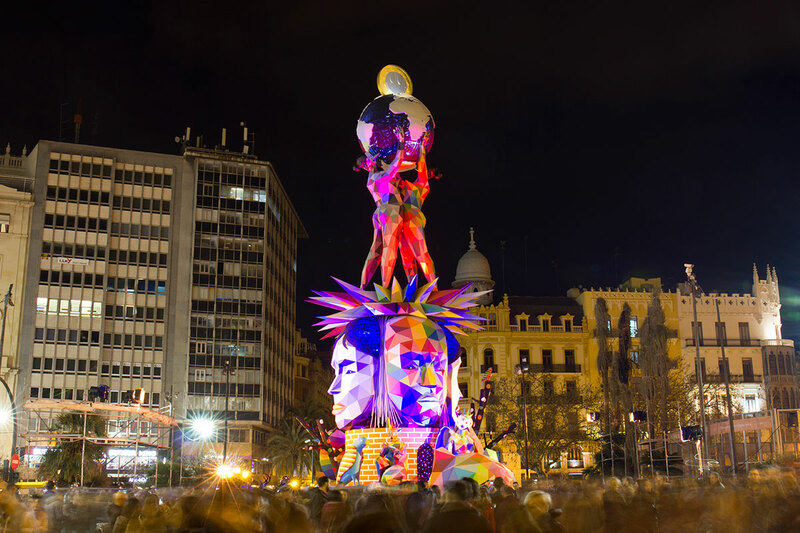 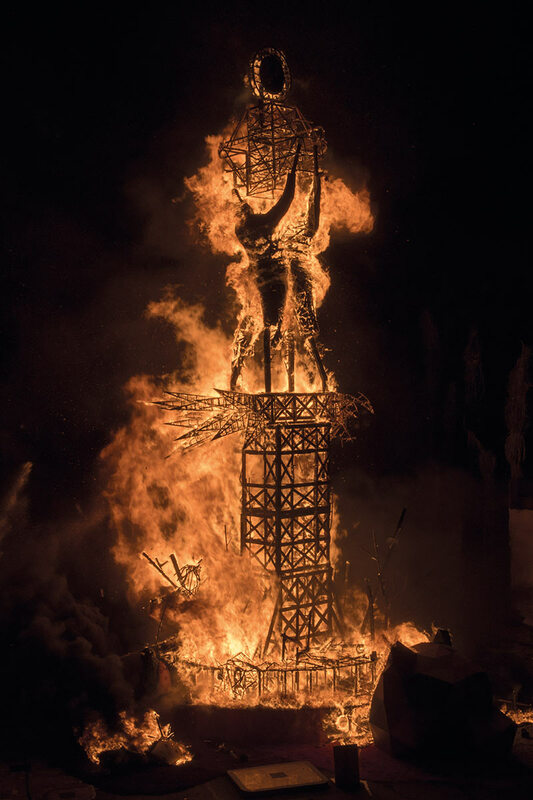 Beholding “Equilibri Universal” disappear under the flames was a moment of culmination of a year-long project developed by the artist and his team IAM (Ink and Movement) alongside the Falla artisans Latorre and Sanz. 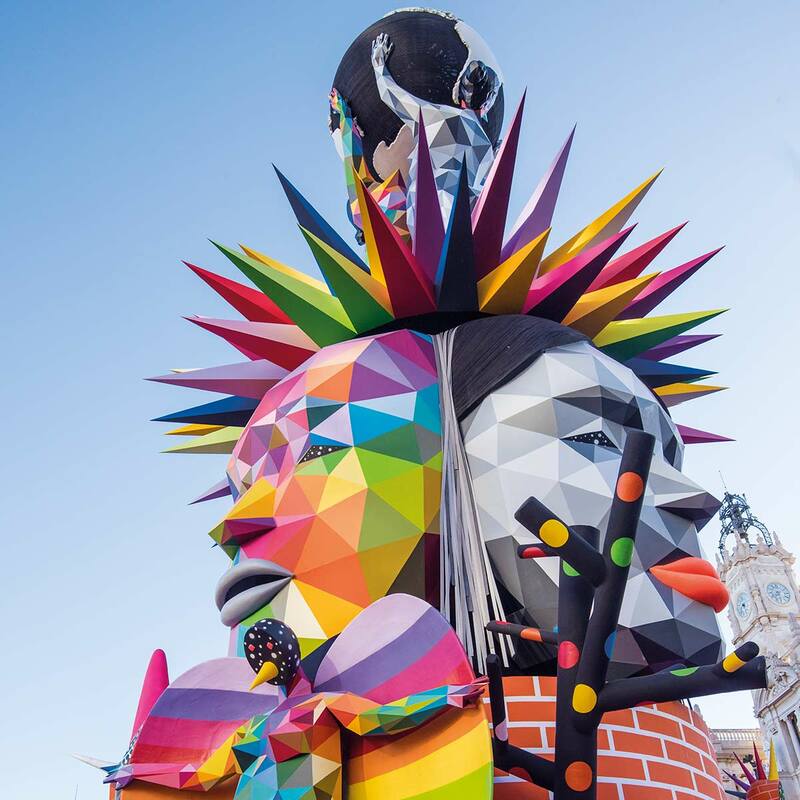 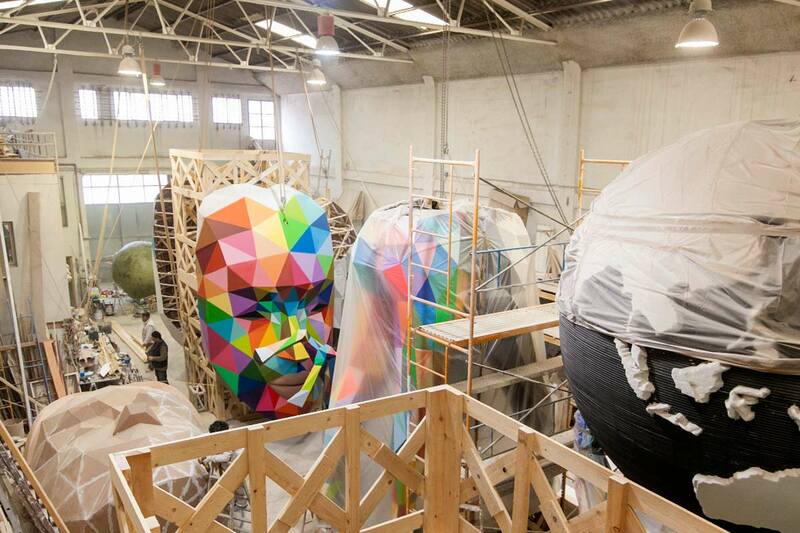 This work is a milestone in Okuda San Miguel’s biography, as the Falla Mayor has been his biggest sculpture to date (25 metres height), and also an achievement for Ink and Movement and for the City of Valencia, which for the first time invited an urban artist to create one of its mythical constructions. 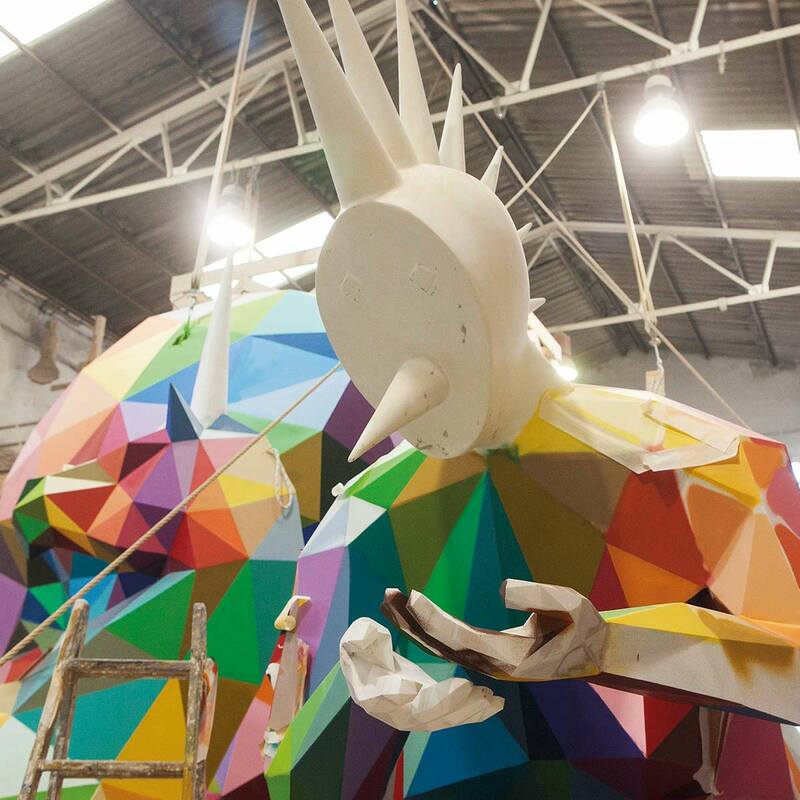 To carry out this spectacular creation, Okuda and his 15-person team travelled more than 5,000 kilometres and spent more than 700 cans of paint. 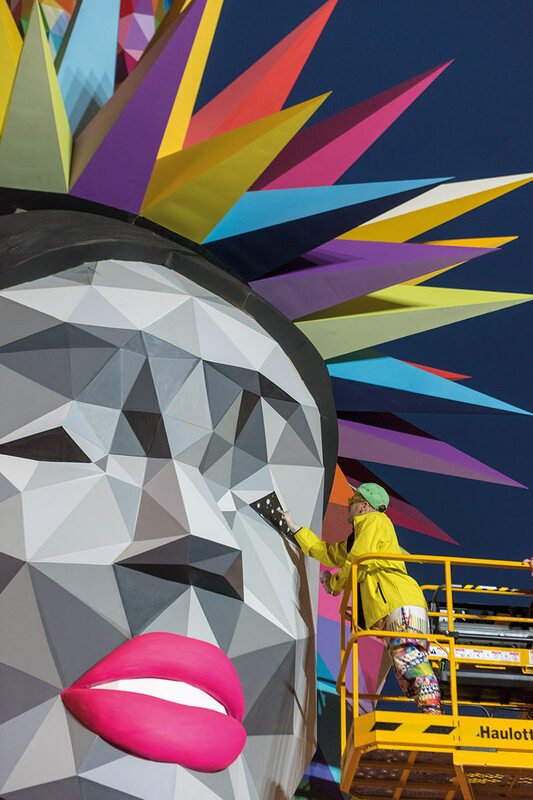 In the artist’s own words: “It was one of the strongest feelings I have ever had in my life, but at the same time very positive and very special”. 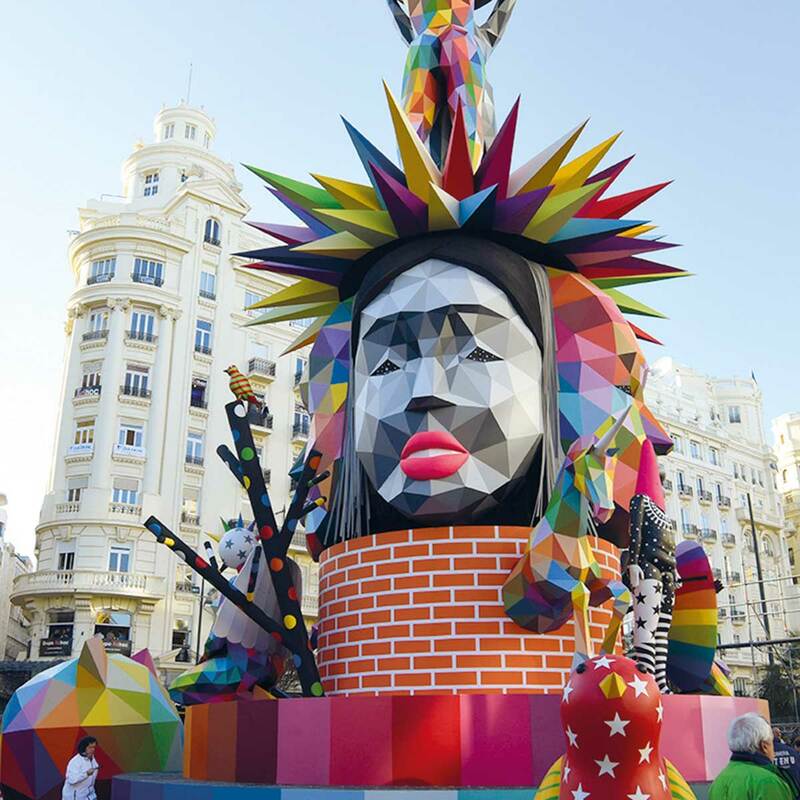 Beyond the transcendence of this construction for both the artist and the Fallas tradition, and the spectacular nature of its creation, Okuda’s presence in Fallas has confirmed the similarities between this celebration and the new contemporary public art that is expressed in the streets of the planet: popular, street wise, dimensional and ephemeral. 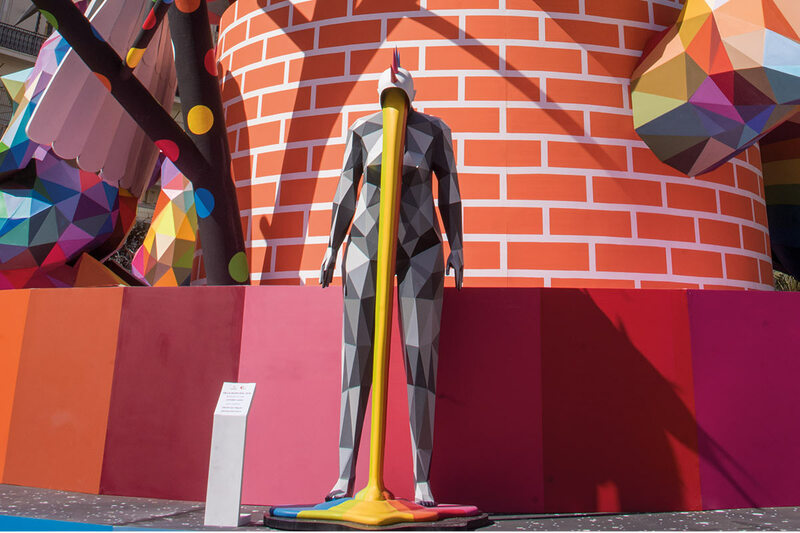 This offers a whole new field of artistic action to be explored for artists from all over the world. 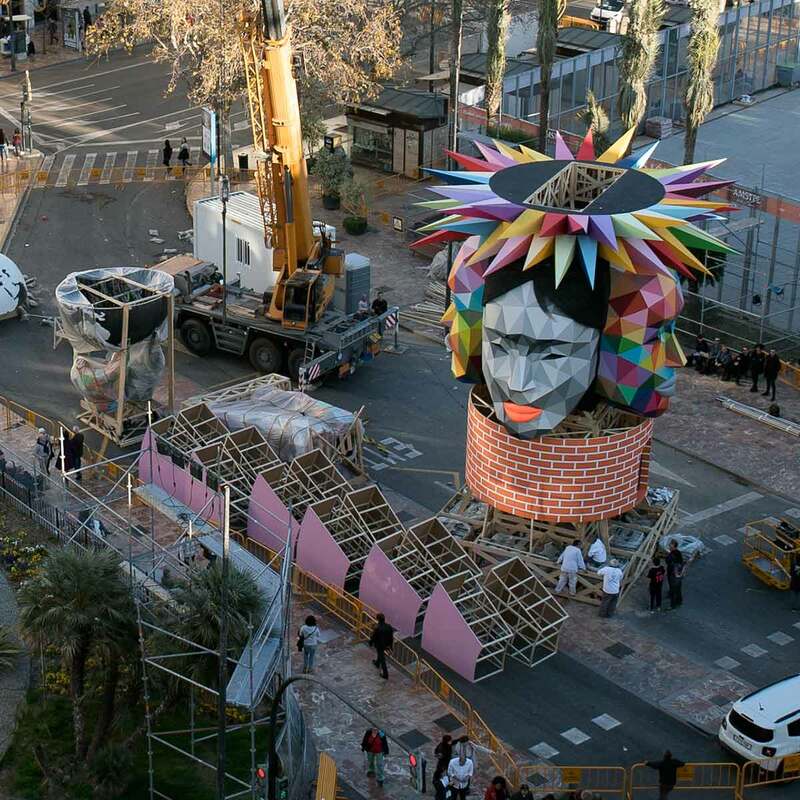 Pics by Martha Cooper and Quique Rico.